This paper describes the prototype of a wearable data acquisition system that continuously records the user’s thermal comfort state (Hot, Warm, Neutral, Cool, Cold) and physiological measurements (skin temperature). 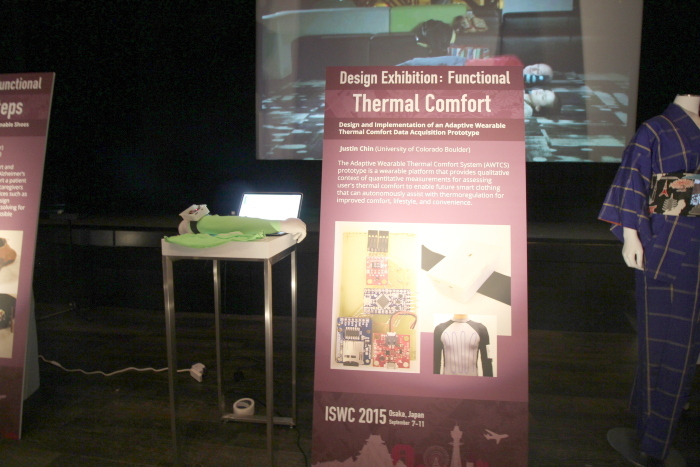 This prototype is a wearable platform that provides qualitative context for quantitative measurements for assessing the user’s thermal comfort to support future development of an Adaptive Wearable Thermal Comfort System (AWTCS) that automatically assist with thermoregulation to improve comfort, lifestyle, and convenience for a variety of user groups. This paper also discusses the prototype’s construction and user interaction design, which focused on developing an unobtrusive and discreet wearable device.